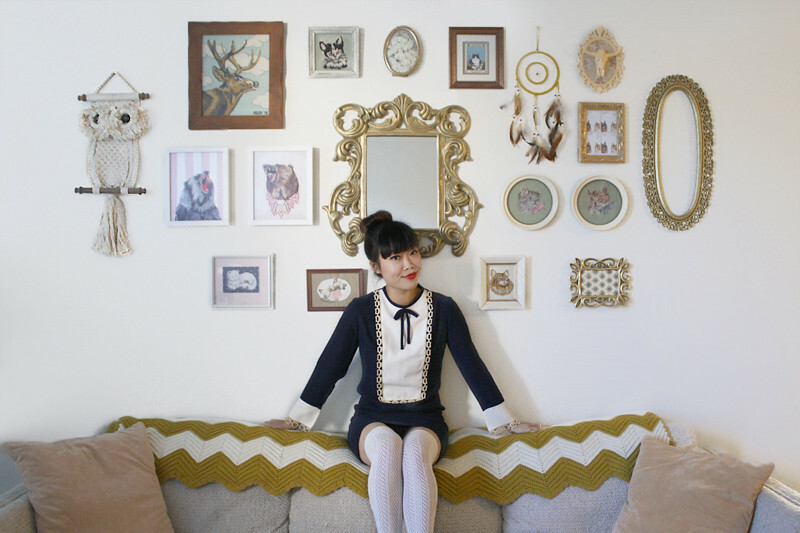 I have been meaning to share with you bits and pieces of my apartment for a long time now, but never got around to it until now! I recently re-decorated my living room so please excuse me if you see things that do not match, such as the lamp shade of the unicorn lamp. It is an upcycled vintage lamp that I spent a fortune on but totally worth it! 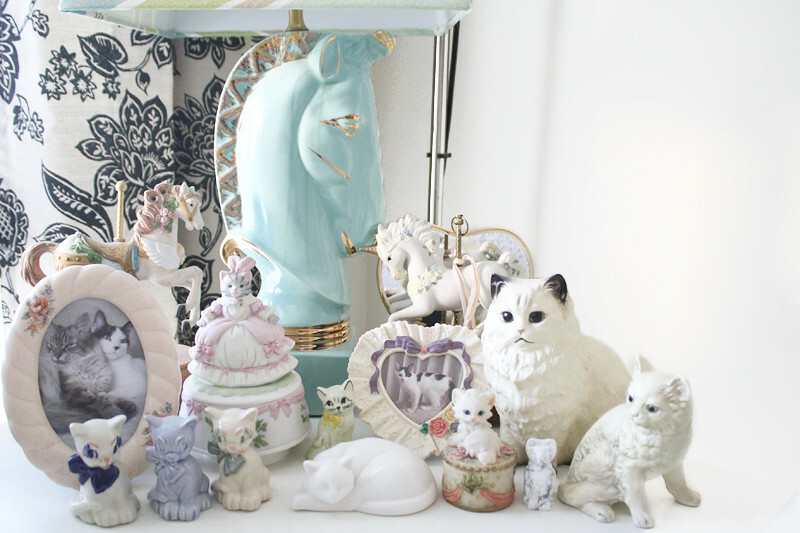 I have a million cat figurines everywhere, the ones you see my the lamp are only a small portion. As for my closet, we have moved to a 2-bedroom so that one of the bedrooms can be a closet due to the fact that I have way too many shoes and clothes! What you see in the "closet" is only about 2/3 of my shoes and clothes, I also have bins and boxes in the closet in the other room as well as under the bed. It's a little out of control I must say! Haha thank you! That's actually just about half of my coats! I have so many more tucked away everywhere because I have no more room to hang them up! Wow, your house looks awesome! I love your closet, damn! I wish mine was that big! And love what you're wearing in the first picture! What!? Your house is a dream!!!! 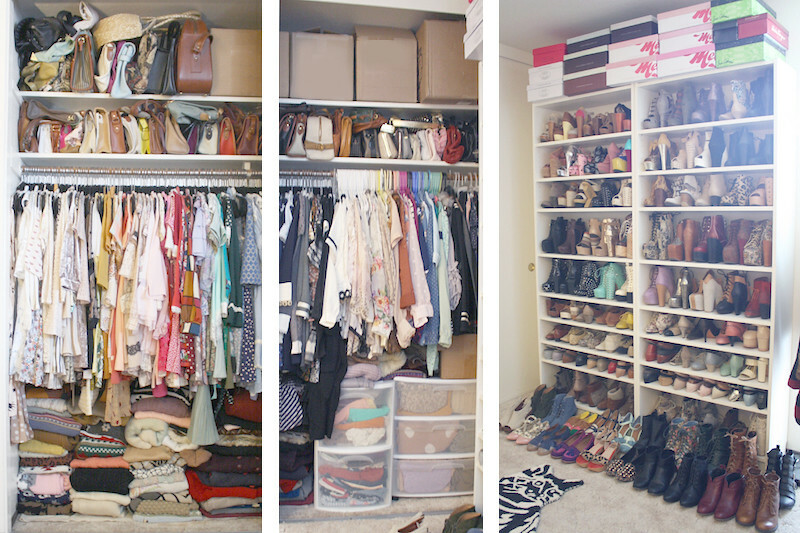 I want your closet so bad! So elegant and pretty! I'm so jealous of your wardrobe collection! i think you, hands down, have the best closet! 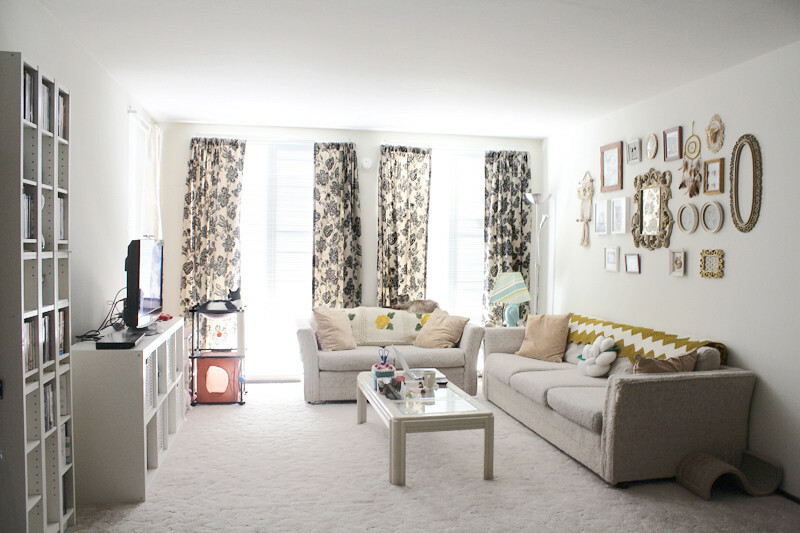 Your apartment is adorable! 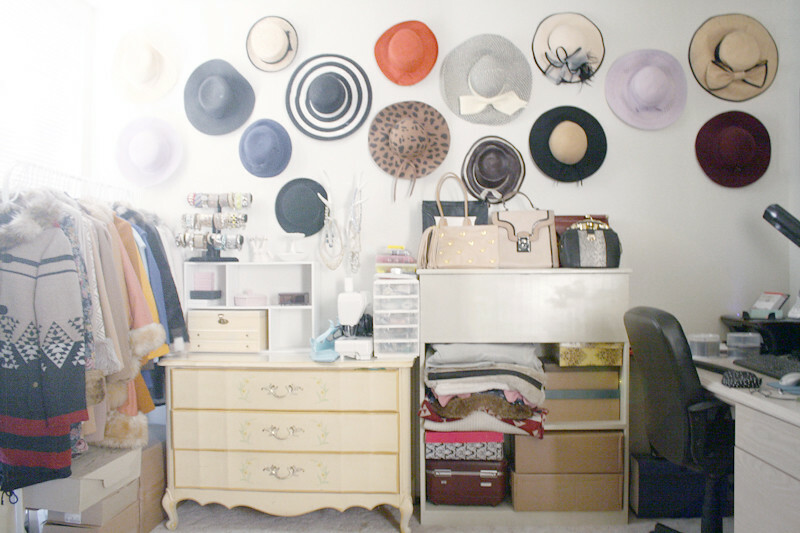 I love all the knickknacks and your hat wall. What an amazingly organized closet and shoe space too! Your home is AMAZING. 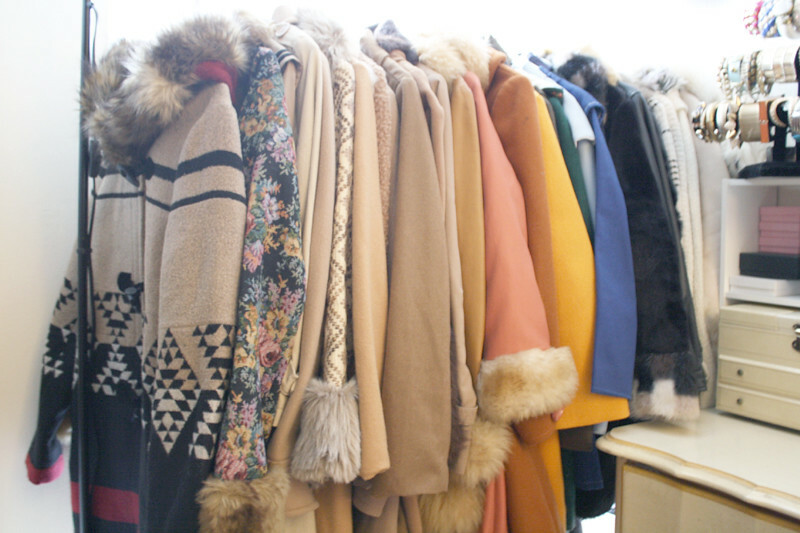 I don't think I've ever seen so many coats in a personal collection. I wanna come visit you and dig through all of your treasures! Come hang in SC! I know you are just in Oakland! :) That rack is only about half of my coats! I have a serious problem haha! Your closet is amazing. I plan on moving into a 2 bedroom so that I can convert it into a closet as well. 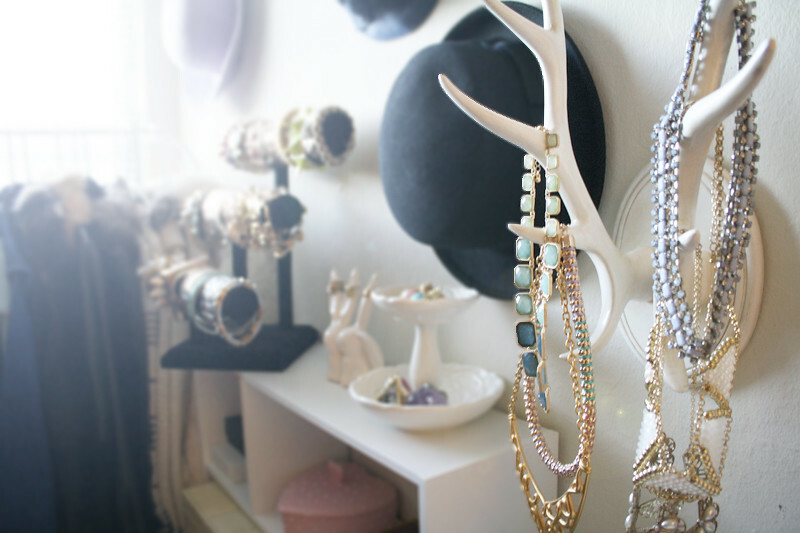 Your closet looks like something out of one my fantasies, I Heart!!!!! WOW!!!! I am envious of all your clothes, bags and shoes!